Today, Adelaide Food Central was invited to The Bath Hotel for lunch. This historic hotel located on the corner of The Parade and Queen Street has always been a popular meeting place for locals and non-locals. Josh De Haas, the Head Chef, has been cooking for 15 years and has established a lot of his culinary knowledge from his extensive travels. The team at Adelaide Food Central was privileged to sample their modern Australian menu which is a showcase of fresh and local produce. 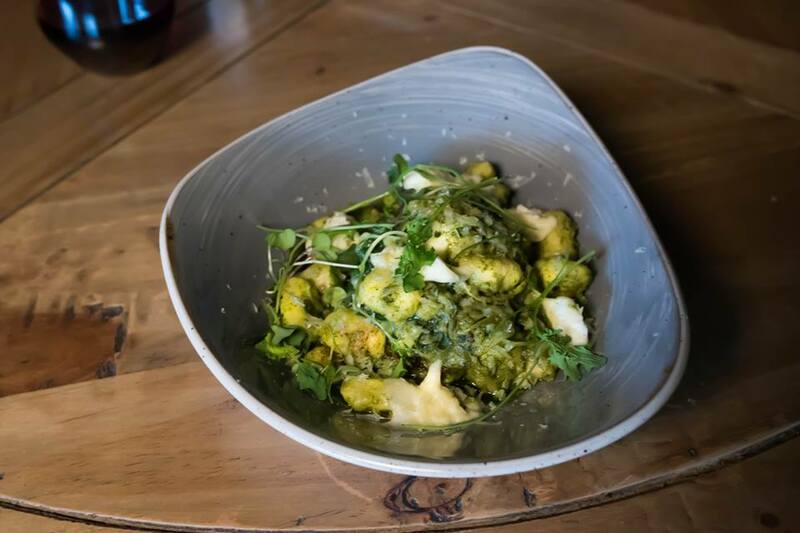 We started off with the Handmade Gnocchi with zucchini noodles, basil pesto, baby spinach, bocconcini and olive oil. Gnocchi when under cooked can resemble a gooey dough like texture, and can be hard to get right. The gnocchi in this dish was cooked to perfection, and had a soft pillow like texture. The basil pesto was light and fresh, and bursting with flavour. The baby spinach, zucchini noodles and bocconcini combined well to complement the dish. Next was the Salt and Pepper Squid with cucumber, chips, tatsoi, cherry tomato, lemon and garlic aioli. 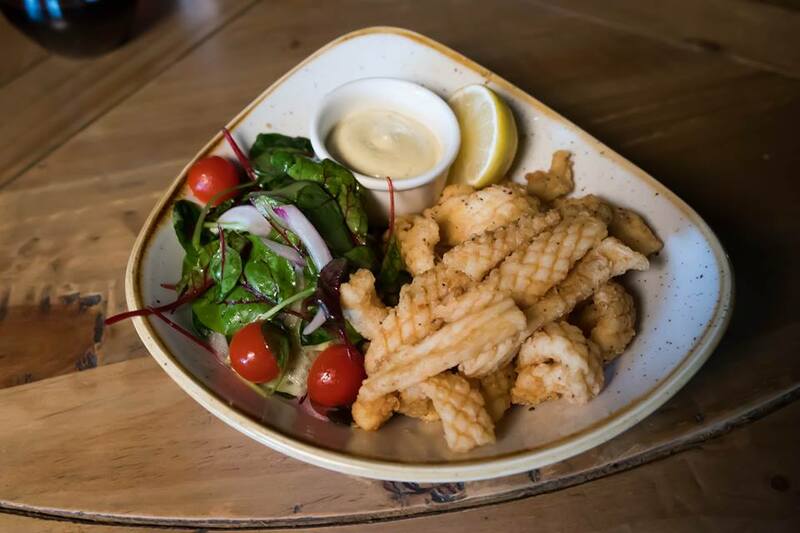 Salt and pepper squid is an all time favourite of mine and when cooked well, is divine to eat. The squid itself was fresh and battered perfectly, not too light, but not too thick either. The squid was also paired with a garlic aioli, which was tangy and thick. The light salad was a fresh edition to the seafood dish. 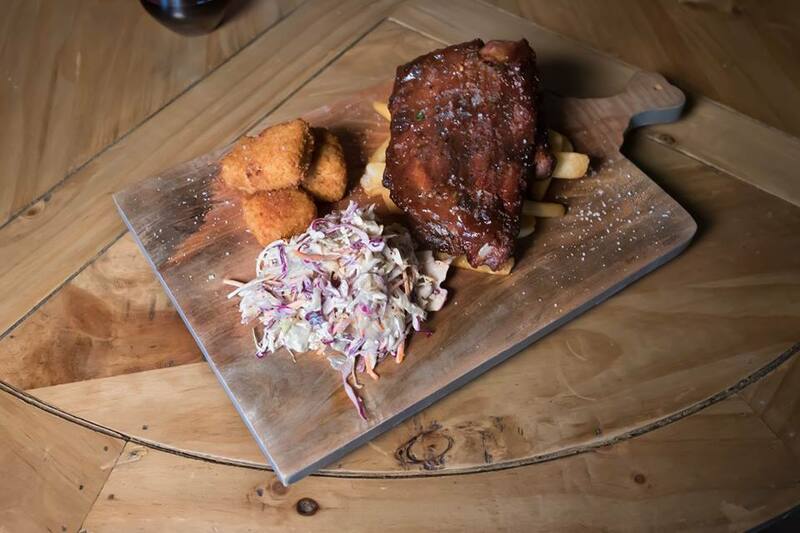 A highlight on every menu was the yoder smoked Meaty Pork Ribs with mac and cheese balls, crunchy slaw, and smokey BBQ sauce. The dish itself was well presented and I was very intrigued to see what flavours it brought out. The ribs were marinated beautifully and the rich BBQ sauce complimented the juicy meat that simply fell off the bone. The mac and cheese balls had a strong, creamy cheese filling and were crunchy and salty on the outside. I enjoyed the texture of the balls and together with the meat it was a sensational dish. 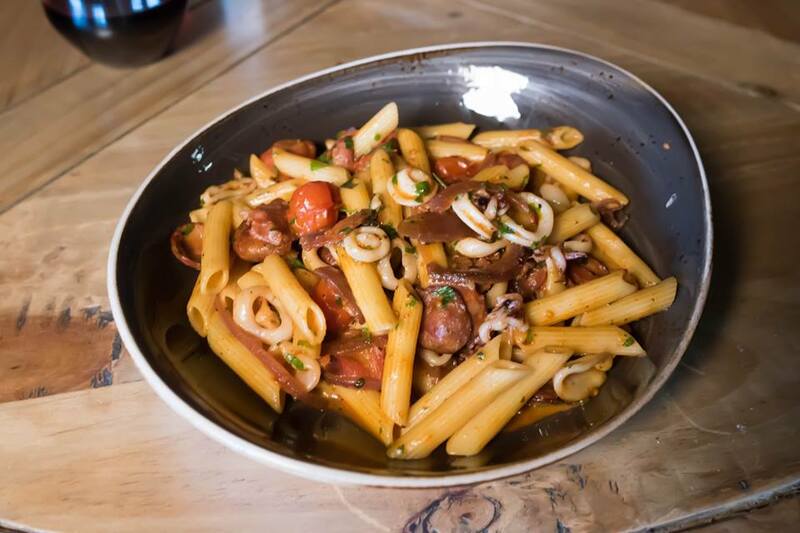 The first of the Mediterranean inspired dishes was the Penne Pasta with baby squid, Hahndorf chorizo, cherry tomato, fresh herbs and chilli. Coming from an Italian background I know a good pasta when I see it, and this dish gets my tick of approval. The soft rose sauce accompanied with the squid and chorizo, and subtle hint of chilli, brought out authentic flavours. Each element of the dish complimented each other, providing an extraordinary dish. 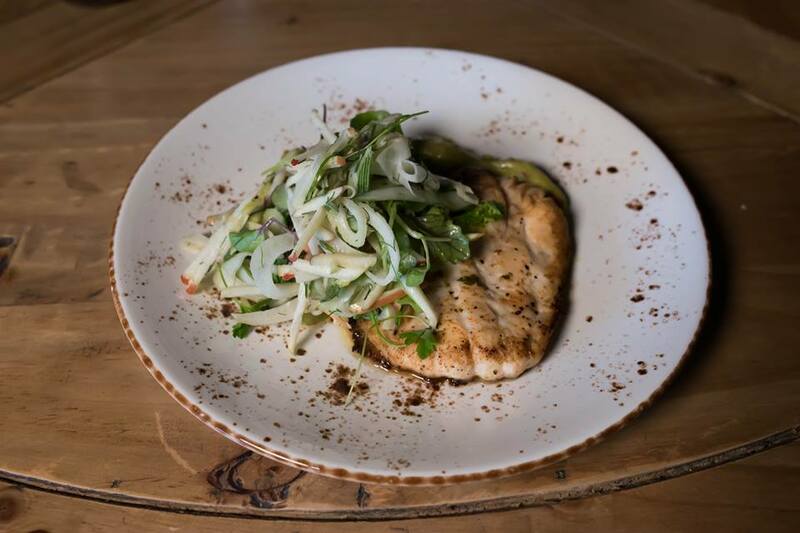 The Fish of the Day today was Barramundi served with avocado puree, fennel, apple salad and a sour cream dressing. The barramundi fillet was soft and delicate, and was well complemented by the cream avocado. The apple added a lovely natural sweetness, and its crunchiness worked well with the fennel slices. An absolute pescatarian’s delight! 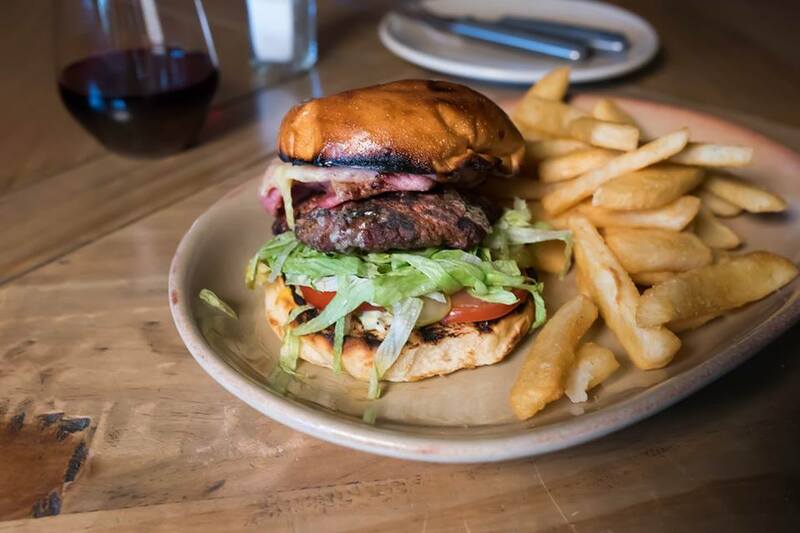 Every pub and hotel has their own burger, and here it’s the Bath Beef Burger. Encapsulated in a sweet brioche bun is iceberg lettuce, tomato, American mustard, ketchup, bacon, pickles and mayonnaise. The char grilled beef patty was nice and thick, and had lovely smokey flavours. The meat was cooked perfectly; charred around the outside and lightly pink in the centre. The bacon was nice and crispy, which is just the way I like it, and its saltiness complemented the well seasoned patty. The lettuce and tomato were fresh and crisp, while the pickles added a nice tangy contrast. The combination of mustard and mayo were good together and stopped the burger from being too dry. The brioche bun was soft and held all the ingredients in well. 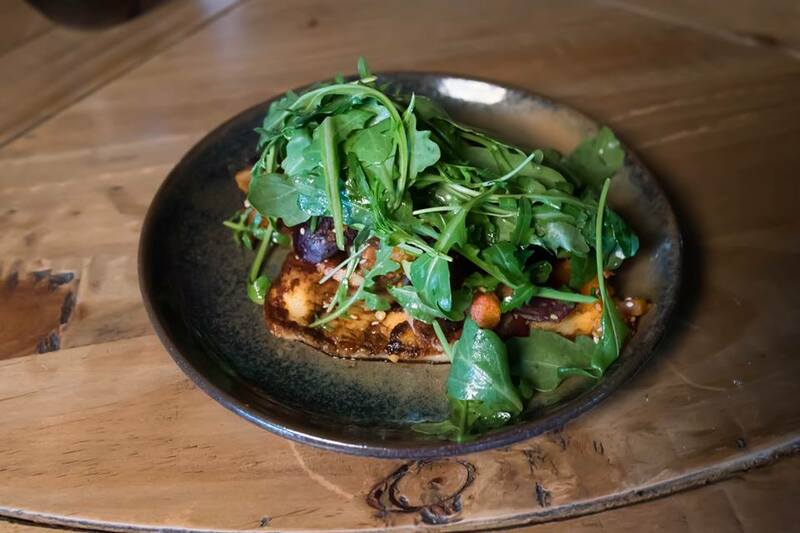 We ended with the Haloumi Salad with beetroot, pumpkin, rocket, balsamic, and dukkah. The thin slices of haloumi were lightly fried on both sides and weren’t too salt. The pumpkin and the beetroot provided loads of natural sweetness while the fresh rocket added a crispy component to the dish. The salad was divine and fantastic for a light meal or as an accompaniment to another dish. The Bath Hotel is open Monday to Sunday for lunch and dinner. Located in a prime position of Norwood enjoying a meal from this pub is an easy venture. The food itself is extremely fantastic quality and good value for money. We would like to thank Chef Josh De Haas for his hospitality and highly recommend heading over to The Bath and checking out what his menu has to offer.